This post is brought to you by the Free WiFi I'm mooching off of at Brownsville's local frozen yogurt joint, where I've been the past few hours downloading my legally-purchased episodes of my favorite US TV shows from Amazon.com, who (appropriately but frustratingly) won't let me download from my Mexican internet at home. 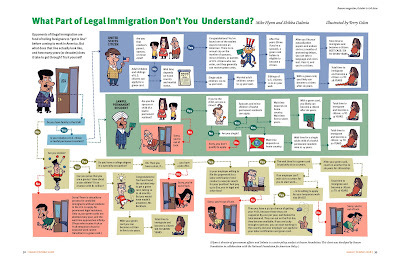 Anyway, I noticed this humorous-but-accurate cartoon flow chart that explains the convoluted U.S. immigration process. I'm not doing any immigrant visas whatsoever here in Matamoros because the only place to get IVs from Mexico is in Ciudad Juarez (plus Mexico City for a few specific types, like F4 and adoption cases.) Who am I kidding... you probably don't care where you can get an IV in Mexico anyway. Obviously, there's a bit of a lack of interesting things to blog about today. 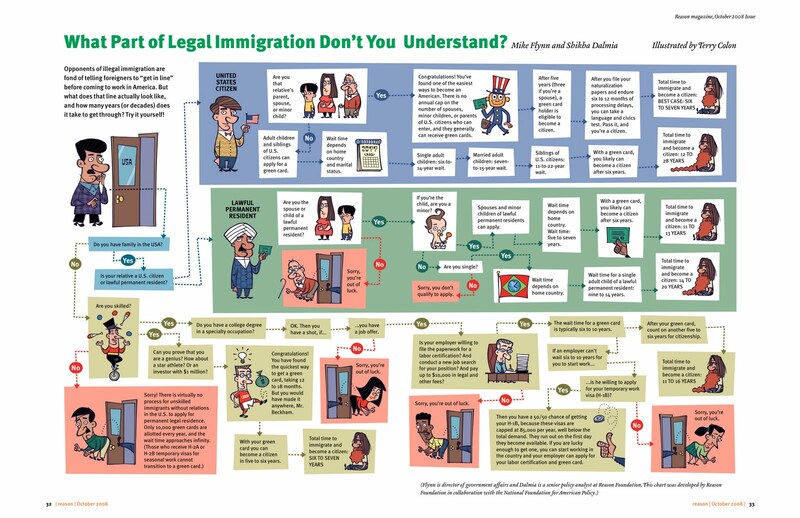 Here's the flow chart. Suffice it to say that I hope none of you readers are currently in the process for one! Props to Kolbi over at A Daring Adventure for mentioning it first. I love reading your blog. I am in the June 2011 FSOT Cohort and I am hoping to pass the QEP. It is nice to see your experiences. Anyhow, I linked you on my blog. Thanks for the insight. Thanks for the comment, and thanks for reading! Good luck with the process - let me know how it goes!